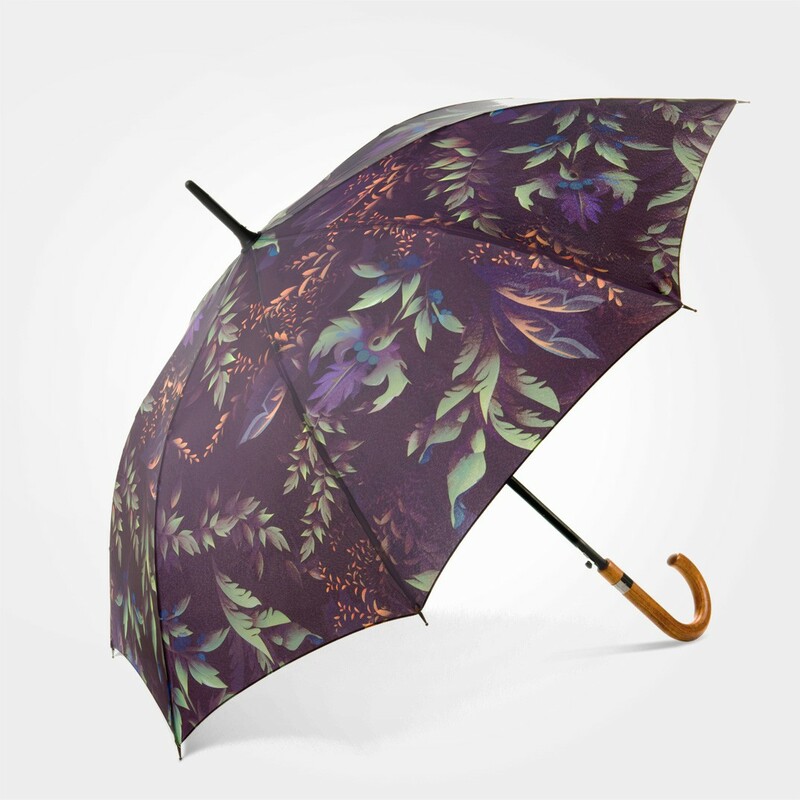 "Secret Garden" is an eccentric and simultaneously stylish umbrella. 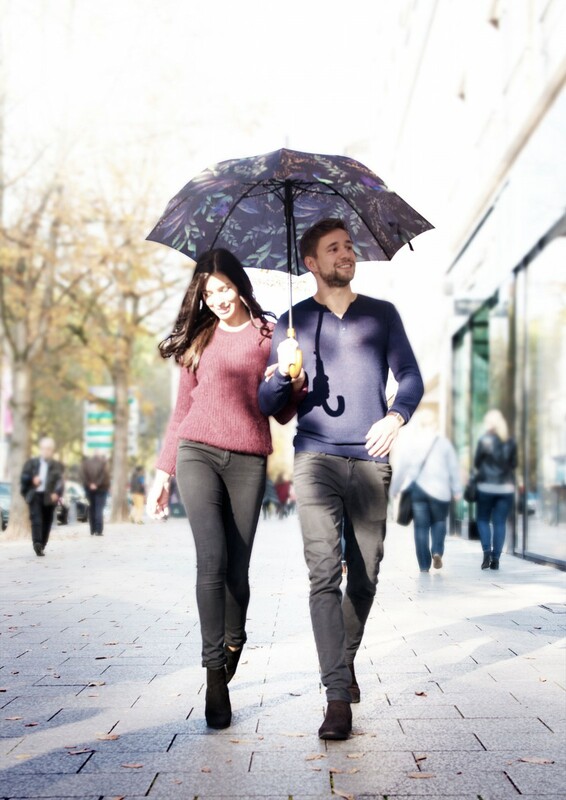 As the name suggests, this umbrella stimulates your imagination. A world full of surreal plants that gradually grow together, leaving plenty of room for interpretation. 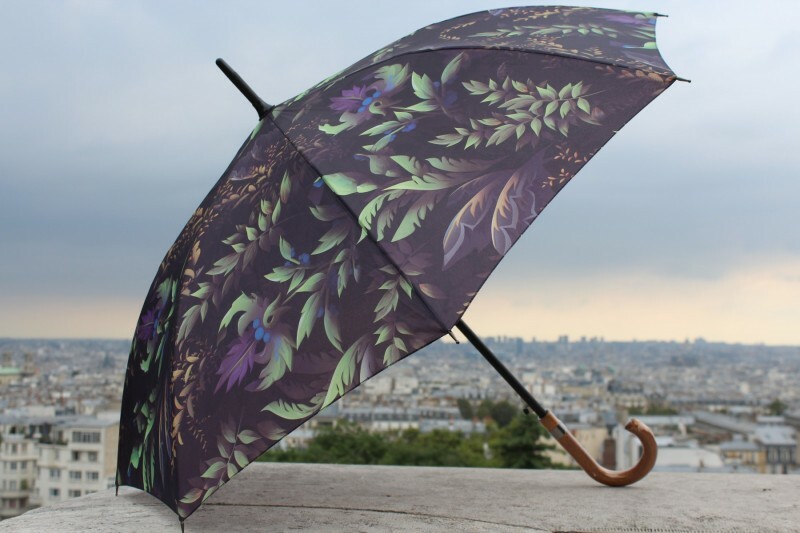 This umbrella is a real eye-catcher! 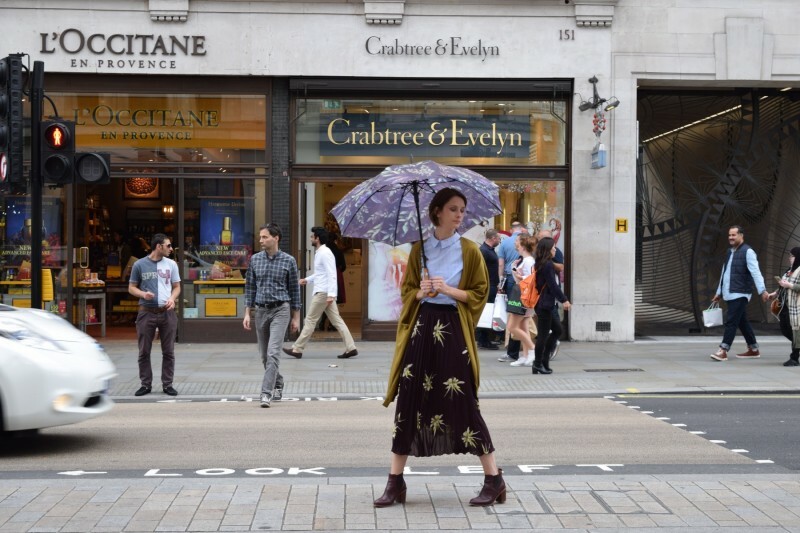 Whether for your casual urban outfit or combined with your elegant evening attire, this umbrella always ensures that you leave a lasting impression! Secret Garden has a very strong, lightweight, and flexible fiberglass frame, which allows for a resistant interior. 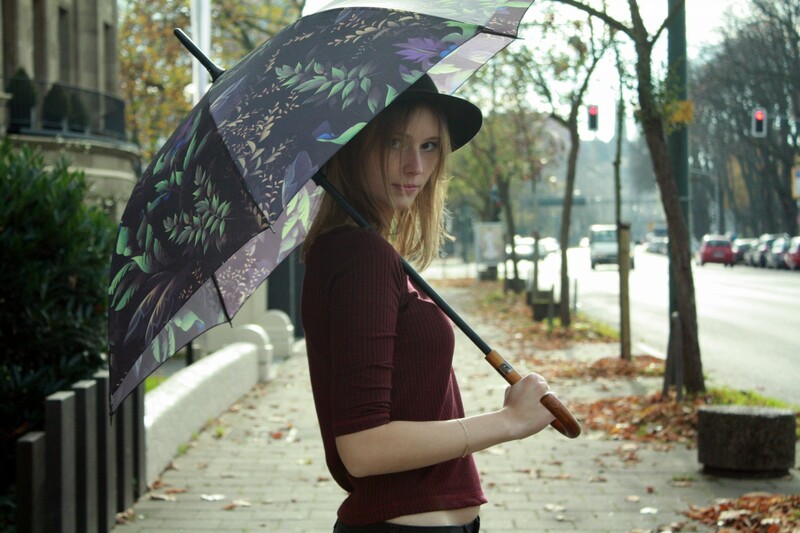 In the rare case, that the framework inverts due to strong elements, the umbrella will not be damaged, but simply jump back into its original shape. The opening is automatic and the beautiful wooden handle is made out of Japanese oak, which gives it an authentic and natural feel. A long, long time ago, there once lived a small caterpillar in a fairytale magic garden. Its home was a magical rose bush, surrounded by many other strange flowers, adorned with magnificent blueberries. It never felt hungry, because it was eating day after day through the dense branches, until it fell gently asleep.